Being Frugal and Making It Work: ReindeerCam: Let Your Kids Watch Santa Feed His Reindeer Online! ReindeerCam: Let Your Kids Watch Santa Feed His Reindeer Online! If the magic of Santa and his reindeer is still alive in your household, you're going to want to check out this really fun site with your little ones. 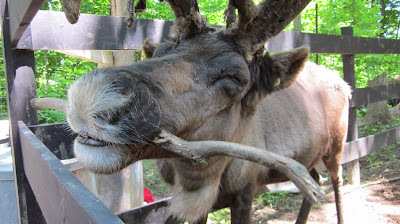 You and your children can watch Santa feed his reindeer! How cool is that? Go to ReindeerCam.com to watch live streaming of Santa's Reindeer and watch them being fed by Santa. Which one of Santa's reindeer is your favorite?